Welcome to our helpful guide for Germany. Should you be looking to travel, live, relocate or do business in the sovereign state, we will give you a helpful head start on understanding the country and its cultures. Germany (officially the Federal Republic of Germany) is a country in Western-Central Europe, and as its full name suggests is a confederation of different constituent states, 16 to be exact. 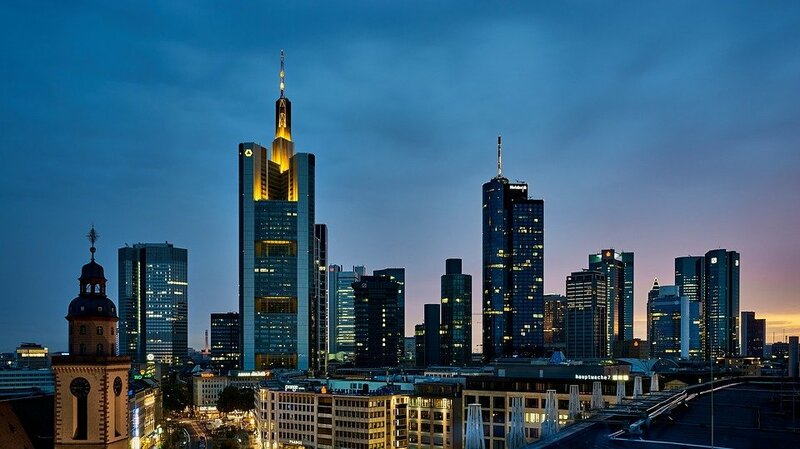 Germany is considered a great power in the modern world, and currently has the world’s 4th or 5th largest economy. It is also the second most popular country for immigrants, after the USA. The culture of Germany is largely defined by the cultures of the constituent states of which it is formed, as well as the other prevalent cultures within Europe. Germany has its origins in the various Germanic tribes that populated the region during the classical era. By the 10th century, most of Germany had become part of the Holy Roman Empire, until its dissolution in the 19th century. Germany as we know it today first came into existence in 1871 when the German states, under the leadership of Prussia, unified into s single country. Germany has also played a major part in the development of Christianity throughout the Western world, with the protestant reformation initiated by Martin Luther having its origins in the northern German regions. Germany has been home to some of the most popular and influential writers, artists, musicians and philosophers in the history of Western civilisation, including Rubens, Bach, Handel, Beethoven, Goethe, Kant, Nietzsche, and the Brothers Grimm, to name but a few. German dress is typically Western, and in a business context, dark and simple suits with shirts and ties are the norm. Germany does also have a rich heritage of traditional dress, with significant variation throughout the different parts of the country. Perhaps the most famous of these are the costumes traditionally associated with the state of Bavaria, in the south of the country. 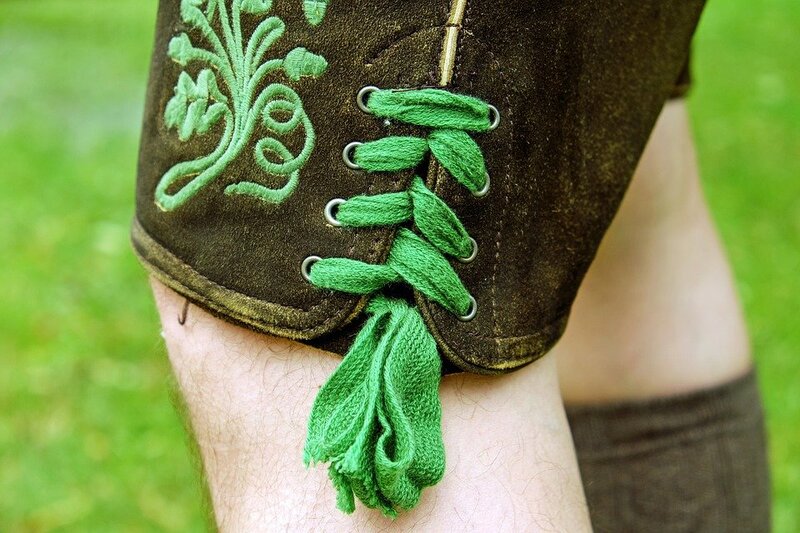 This costume typically includes Lederhosen for men: leather trousers which end above the knee. For women, the famous outfit is known as the Dirndl, a traditional type of dress incorporating a bodice, blouse, full skirt and an apron. These sorts of traditional costumes will generally only be seen in tourist areas or during celebrations, such as the popular Oktoberfest. The official language of Germany is, perhaps unsurprisingly, German. German is from the West Germanic family of languages, which also includes Dutch, Afrikaans and English, and is also a major language in Austria, Switzerland, Luxembourg and Belgium, amongst others. The German language has also been influenced by the languages of other European countries, including English and French. In recent history, more and more English words are entering into or affecting the German lexicon, and such terms are commonly referred to as “Denglisch”. One of the core principles of German life is organisation. German people pride themselves on being highly organised, both in their professional and personal lives and in maintaining a balance between the 2. As such, a respect for rules and laws in Germany goes without saying. One thing that often catches out foreign visitors is the rules on jay-walking, which are often strictly enforced and can result in on-the-spot fines if you cross the road somewhere other than at a designated pedestrian crossing. In Germany, work and personal lives are generally kept quite separate, and therefore if you are invited to a dinner or a social gathering with colleagues, it may not be appropriate to try and use the occasion as an opportunity to continue discussing business. German houses are generally considered part of the sphere of private, rather than personal life, so if you are in the country on business, it would be unusual for you to be invited to someone’s home. If you are invited over for a meal, then make sure to arrive on time, as punctuality indicates respect and good organisation. It would also be a good idea to bring a small gift, such as flowers, wine or chocolates. Expect any gifts you give to be opened straight away. The majority religion in Germany is Christianity, with about two thirds of the population adhering to Protestantism and one third to Roman Catholicism. As mentioned, Germany is the home and centre of the protestant reformation, a major schism from the Catholic Church, and ever since Protestantism has been by far the most popular religion in the country. When meeting Germans for the first time in a business context, short and firm handshakes are the normal greeting. Make sure you maintain eye contact throughout, though avoid staring for uncomfortably long. German people set great store by titles and qualifications, so if someone does have a doctorate or a degree, make sure you refer to them as DR. or whatever their title may be. This point is also worth bearing in mind for business cards – the more letters you can put after your name the more impressed your German colleagues will be. Plan meetings well in advance, so that people have time to work them into their schedules and do any necessary preparatory work. Punctuality is very important in Germany, so make sure that you arrive on time and ready to start. Being early could be considered as much of a misstep as being late, as it shows poor planning, so do not arrive more than a few minutes before the scheduled time. Germans like to analyse and review information in detail before coming to a decision. Make sure you have plenty of facts and information prepared to aid this process and to support the points that you are trying to make. Be patient, and do not try to rush people to make a decision, as they may feel that you are being overly aggressive and trying to circumvent the application of proper process and procedure. Also, avoid surprising German colleagues with unexpected information or a change in direction, as in doing so you would be taking away their opportunity to plan how to deal with the topic, which will not make you any friends. If you are moving to Germany, then it is possible you may want to bring a lot of your stuff with you. If this is the case, then be aware that your possessions, including cars and electronics, will be expected to conform to the letter to all the rules and regulations that govern them, so you may need to get things modified to meet the standards. Visa requirements for moving to Germany vary from country to country. Germany is part of the EU and the Schengen Area, and as such nationals from other EU member states do not need a visa to enter the country. If you are planning to stay in the country for more than 90 days, then you must register at your local registration office (Einwohnermeldeamt) within the first 2 weeks after your arrival. If you move to a different municipality within the country, you will also need to go through this registration process again in the new location. You also need to de-register when you leave. If you’re conducting business or relocating to business we can help with any German translation needs you may have. We have a certified translation service for important documents, legal translations and even business translation services available. Get in touch for more information today.